I was supposed to have an Etsy giveaway today, but the store owner had to postpone when she suddenly sold out of her entire inventory. Don't you feel bad for her? :) Anyway, it gives me a chance to post a Thanksgiving post. Man, the holidays are almost here! By the way, if you're new to my blog I don't usually post this often. Only in November. And since Halo Anniversary came out this week, I'm a Halo Widow anyway. So getting back to Thanksgiving. 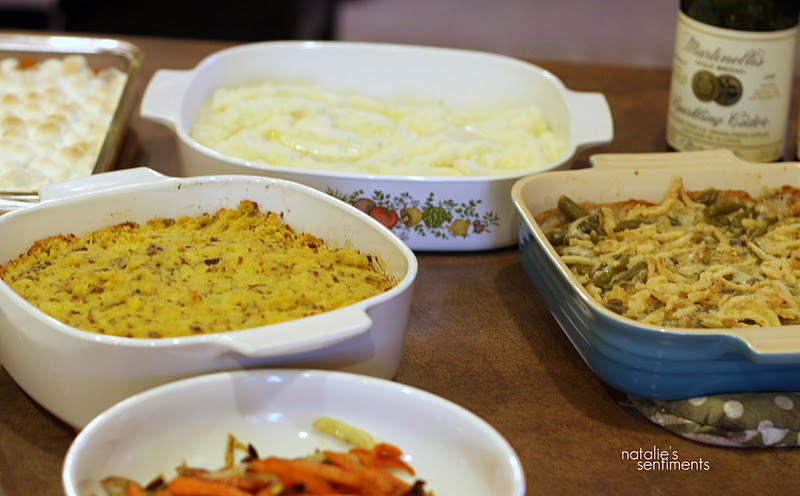 There is a time to really go all out on a Thanksgiving dish. That time is when you're invited to a big dinner and you've been asked to bring one or two items. Then there's the time when easy and simple is the rule, and that's when you are cooking everything yourself. Of the ten years Shane and I have been married, I've made the entire Thanksgiving feast entirely myself probably half the time. 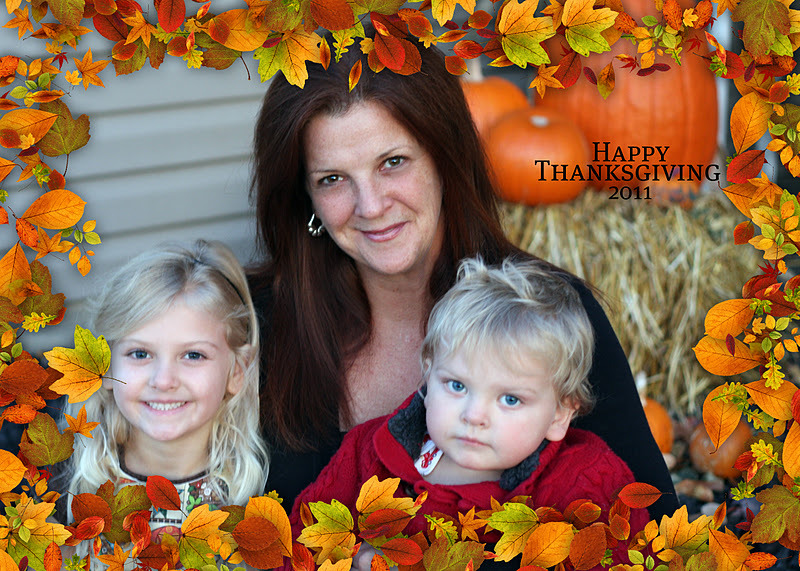 That's about 5 years we've had Thanksgiving with just the two of us, or with the kids when they came along. Shane would help if I asked him, but I never do. I just have him keep the kids out of the kitchen. I've learned that when you're cooking that many dishes in one day, you have to keep expectations in check and keep it simple. We don't have plans to spend Thanksgiving with family this year, so when my Mother-in-law, Mary, decided to come visit last week, I decided we would celebrate a little early. 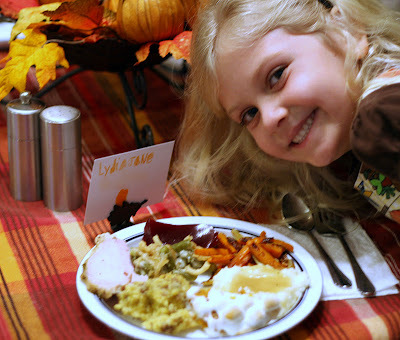 We just picked a random Tuesday, she watched the kids and I cooked. 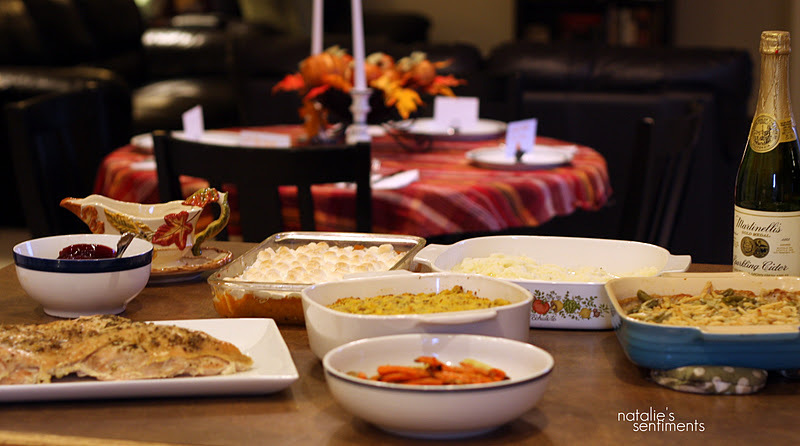 Shane came home from work to a full Thanksgiving feast. My first suggestion for keeping Thanksgiving easy is using a turkey breast instead of a whole bird. Saves time and room in the fridge. We prefer the white meat anyway. This year I went with a turkey breast roast from costco and it was delicious and moist. (It's bigger than this photo makes it seem. We had leftovers for several days.) 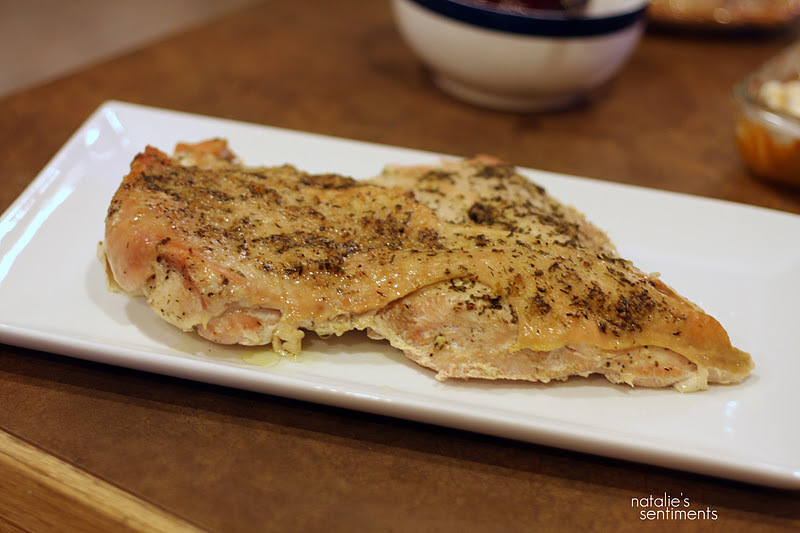 I used this Herb-Roasted Turkey Breast recipe from Ina Garten and it was amazing. This won't make gravy, but remember, I'm keeping this easy. Buy the gravy in the jar and add some of the juice thats left in the pan. Next, roast a veggie. 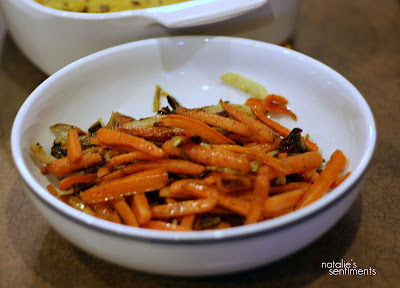 Carrots are one of my favorites since they are always on hand and get sweet and caramelized. And it's so fast. I threw in some fennel in this dish too. You can use Ina's recipe here, but watch the time. I think she cooks them too long. Yum. Mashed potatoes. No simplifying this dish, (i.e. no freeze dried potatoes). I like Paula Dean's recipe for this. Though instead of sour cream, I replaced the milk with cream. BEST Thanksgiving day investment? The Potato Ricer. You will never have lumps in your potatoes again. I got mine at Bed Bath and Beyond for $20. Oh, and add lots of extra butter to the top of your hot potatoes. I always make a Green Bean Casserole for Shane. It's tasty and takes like 2 minutes to prepare. This is the only time I actually prefer a canned veggie. For the stuffing (which is the best part of Thanksgiving in my opinion), I never use a recipe anymore. Last year I showed you how I put mine together. This year, I had the foresight to double a cornbread recipe a month before so I had the cornbread in the freezer ready to go. And I also changed it up by adding two eggs to the dish. It made it much more "dressing" like. It was actually delicious that way, and much more Southern. Boil 7 or 8 unpeeled sweet potatos until soft. Let cool until able to handle, and take off peels. 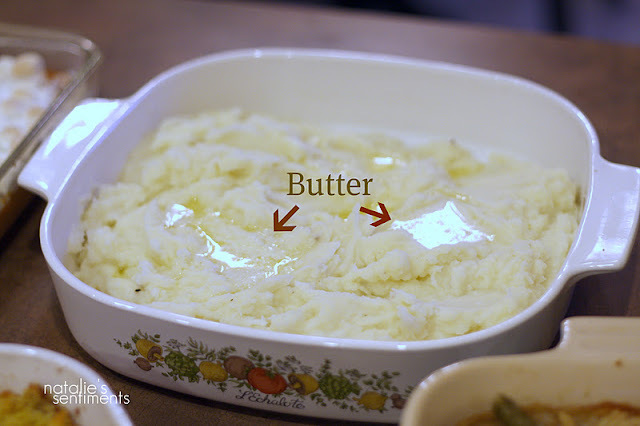 Mash together and add a cube of butter. Add about a 1/2 cup brown sugar and a handful of chopped walnuts. You may want more sugar depending on your taste. Maybe a bit of cinnamon. Stir until butter melts. 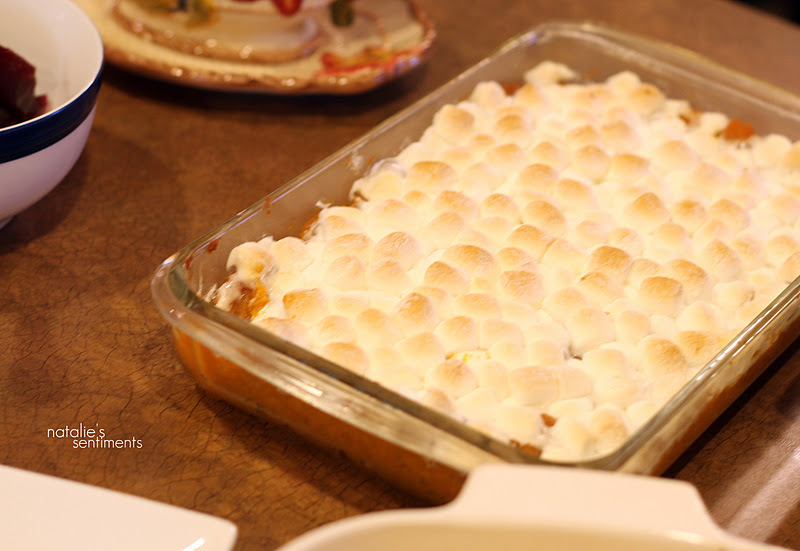 Spread in a pan and cover with marshmallows. Cook at whatever temp the turkey is cooking on until the marshmallows are brown. Collin gets a nice dairy free version of everything in case you were wondering. There we go. Instead of cranberry compote, we use the canned stuff. No homemade rolls, we got the pull apart ones in the freezer. Homemade pumpkin pie? Why, when you can get a great one at Costco for $6! Lydia took care of place cards. 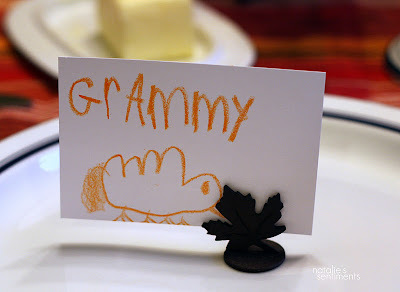 She and grammy set the table. Collin keep singing the happy birthday song and trying to blow out the candles. 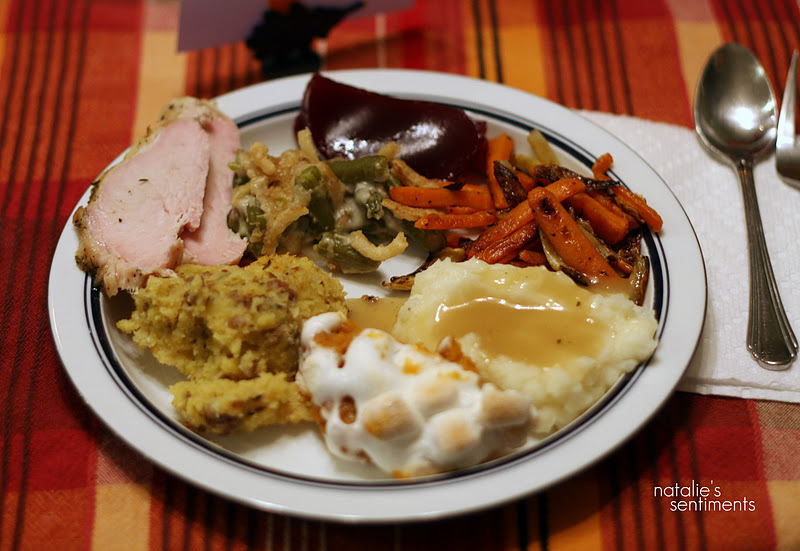 An entire Thanksgiving dinner in about three hours and we had leftovers for days. Thanks Grammy for making our early Thanksgiving wonderful. Congrats ladies! Leave a comment here, and then email me! Don't forget to enter to win the Petunia Blooms Giveaway and the Sound + Sleep Sound Therapy System Giveaway. More giveaways next week too! 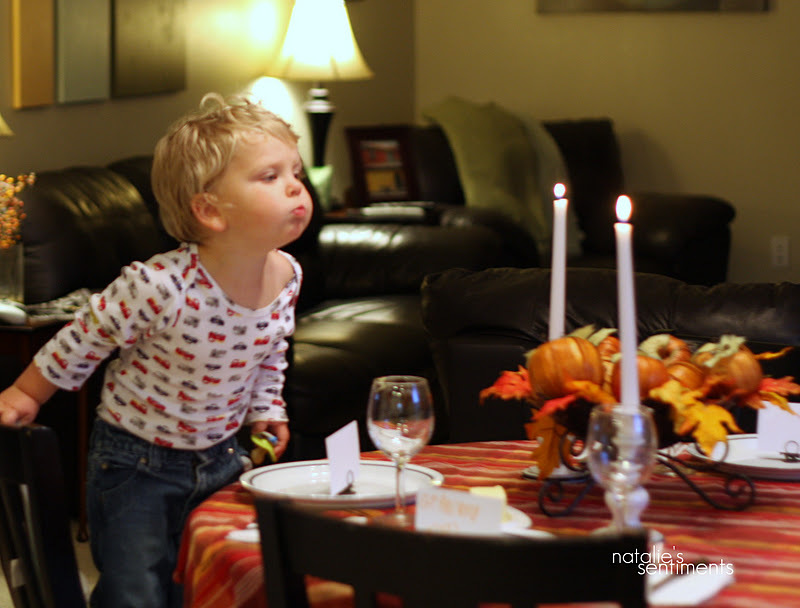 I love Collin trying to blow out the candles... isn't that going to be fun to tell him about in a few years? Whoo hooo!!! So excited for the CD! I think Im going to find a cheap portable cd player to bring to the hospital and put by Allie's bed!! I think she is going to love it!!! Thank you!!!! YAY!! Thanks! Im so excited to try these products, my skin needs it! Awesome! Thanks Natalie! 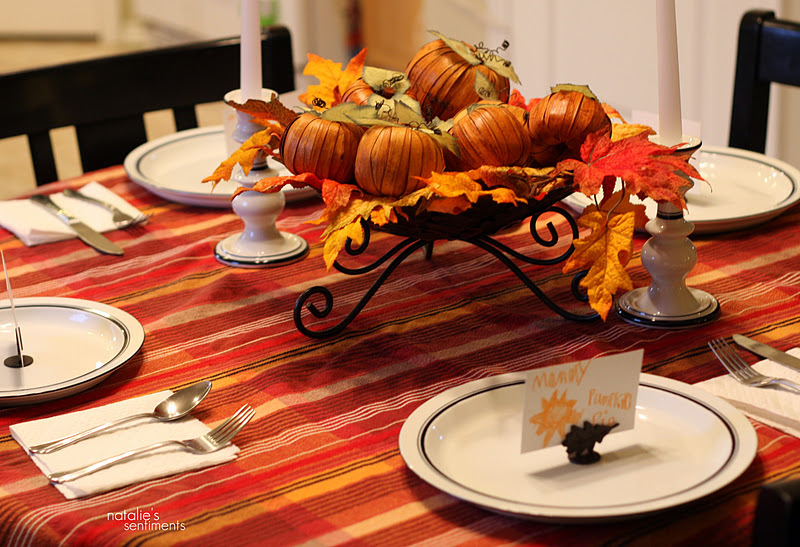 Your Thanksgiving dinner looks fabulous by the way. yumm! Looks like you guys are doing wonderful in Boise. Miss you here in Chat-town! I love Ina Garten's recipes as well and I make them often! Great blog! I am a new follower!